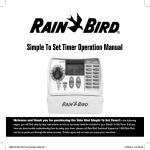 find the “USER MANUAL”, “CONTROL SYSTEM MANUAL” and “Quick Start Guide” in the product attachment. make sure that you familiarise yourself with the important safety instructions before using your spa. If you have any question or doubt on the operation or maintenance of this product, please contact your local dealer. set temperature and ensure the spa is available for all season. run the Filter Cycle programming automatically, to kill the bacteria via the ozone released by the ozone generator. plumbing to make you feel comfortable. provides the lighting function but also make you feel romantic. or massaging in the SPA. Surf sport (swim SPA): Adjust the jetting direction of swim jet to create a vortex, enjoy surf in your swim spa. necessary without prior notice and without entering into any obligation. Electrical appliances: Never have any electrical devices within 2 meters of the spa. be dangerous to spa users. properly ventilated if you are installing it in an enclosed area. Chemicals: SPA chemicals are necessary to control bacteria, prevent infection and maximize the life of your SPA and its equipment. turn the spa off at the power outlet and make sure all the components are dry before attempting to power the spa back up. However, in concentrated form these chemicals, like other household chemicals, can be hazardous. Always handle and use them with care. found in the Chemical Management section. that the water temperature be no higher than body temperature i.e. 37.5℃. To reduce the risk of contaminating spa water and minimize health risks, shower with soap and water prior to using the spa. People with open sores or any type of infection should not use the spa. Hot water is an ideal environment for spreading infection, especially if sanitizer levels are not properly maintained. back into the spa pool. Sitting in the spa with your heart above the water level will dramatically decrease the time it takes to cool down. Hyperthermia may be fatal. Do not expose your body to prolonged exposure in water above normal body temperature. physician before entering the spa pool. Child safety: Children should not be permitted to use the spa without adult supervision. will help to minimize the risk of slipping and falling. In some cases steps may be needed to make entering the spa easier. caused by an improper installation or an installation performed by non-qualified personnel. It is recommended to place the SPA away from trees, as falling leaves may block the filter. Before installing, it is better to ask a professional to check the spa position. protect the unit from direct contact with very damp areas. The SPA cannot be placed on a curved, soft, sandy surface or blocks . Before filling your spa, please check and tighten all the live connectors, they may go loose during transportation. Please check and make sure all the check valves are all in the open position. Check that the drainage valve is shut off. Check that all jets are in the open position. Turn colckwise to turn your jets on. Fill your SPA with water. Fill the water through the filter in order to prevent air block in the pumps. Fill the water till reach the required water level. out due to incorrect amperage WILL NOT be covered by warranty. Ask for qualified electrician for electrical connection. To avoid any damage to the components, DO NOT fill hot water over over 40℃ into your SPA. or more tiimes a week .Therefore,it would be recommended that a SPA be drained at least every 3 months. Note: Ensure the power is shut off before draining.Equipment damage caused by dry running will not be covered under warranty. Turn the jet cover clockwise about 1/4,the jets are turned on. Turn the jet cover anti-clockwise about1/4,the jets are turned off. Some jets and the air jets are unadjustable. Don’t rotate these jets with force. It may cause damages to the jets. associated to a certain group of jets. By opening an air control when the pump is on air will be drawn into the water flow. When the air control is turned clockwise, it will decrease the power of the massage jets. When it is turned anti-clockwise, it will increase the power of the massage jets. cooling down the spa water temperature. specialist for proper amount of sanitizer use, and take proper action depending on the capacity of the SPA. chemicals will not be covered under warranty. after the chemicals are sufficiently mixed into the water. you will adjust the massage power of different seats. Note: For better and longer aromatherapy, remember to turn the aromatherapy canister off when the spa is not in use. The water flow control is the special parts to control the water flow of the options, like waterfall and fountain. Rotating the water flow control will turn on, turn off and adjust the water flow. Note: For better heating efficiency, turn the water flow controls off when the spa is not in use. which multimedia system you have for your spa. Note: Pull off the cover of the DVD player after using. For details, please refer to the user's manual of DVD player. alkalinity: Values above 7 are alkali and below 7, are acid. A PH index of between 7.2 and 7.6 is recommended. level is not covered by your Spa guarantee. If the pH is above the above-mentioned indexes, do not enter the SPA temporarily. Wait for two hours and re-do the pH test. If the pH is below the above-mentioned indexes, let the pumps prime. Wait for two hours and re-do the pH test. cloud and shorter filters runs may occur. excessive disinfection could cause skin and eye irritation. Bromide tablets: are a suitable disinfectant for the Spa water. This product is placed in the pre-filter and gradually dissolves. Check the residual bromide level daily using the Br analyser set. The recommended level of residual bromide is between 2.2 and 3.3 ppm. ozone ions from oxygen in the atmosphere. This is an automatic process and the resulting product is injected through the jets of the water. take off the paper filter. Go opposite to install the cartridge filter. Pull up the front panel, pull the screener transverse out. Go counter-clockwise to remove the paper filter. Go opposite to install the double front access filters. Take off the top cover. Go opposite to install the front access stopper filter. completely. Turn the temperature down to 15 degree, so that the filtration cycles are still functioning but the spa doesn't heat. Turn off the power, open the drain valve and drain the spa clean, take off the filter, keep the spa dry and cover the spa cover. spa,and it will restart when the troubleshooting solved. and then contact the local dealer to do the maintaince. week and whenever the water is renewed. SPA ALGAECIDE: Prevent algae from growing in the water, use it once a week and whenever the water is renewed. ANTIFOAM: Prevent precipitation of calcium salts (scale), use it once a week and whenever the water is renewed. Please do not touch the control panel with the hard things to avoid scratch. Please avoid the direct sunshine on the control panel. Please keep the control panel dryness when the spa is not in use. Add the exact amounts to the water, as specified. Do not mix products, to avoid possible reactions. Do not smoke while handling these products - they may be flammable. Do not add chemical products to the water if there is someone in the spa. Keep containers tightly closed in dry, well-ventilated places, and keep these products away from children. Do not inhale chemical products, and take care not to let them come into contact with the eyes, nose or mouth. Wash hands after use. Follow the emergency instructions on the product label in the event of an accident or ingestion. it is not in guaranty. Please do not seating, lie and jump on the cover, damage it may cause is not covered under guaranty. warranty on your spa and its accessories. thus avoiding unnecessary premature repair costs. Detailed below is a simple step by step procedure to follow. Clean the dirt with wet towel, we can use the neutral detergent and soft towel, can not use the detergent which with ketone or chlorine water. re-polish it with soft towel. with hard material or knife. No cigarette end or over 70℃ heat source touch your SPA. hose. Once a month you should soak your filters in a cartridge filter cleaning solution and then hose off with a high pressure hose. Remove the cartridge, please read the filter remove instruction before dong so. Take off with filter from the cartridge on counter-clockwise. Clean the cartridge with water until not any leftover. Spray the filter with water, from up to down At an angle of 45° (Attached the photos in right side). Install the filter and cartridge after clean. Note: Please contact your supplier to change the filter after continue use 3 months. on and anything is dram into your pump or heater, causing either to fail the fault will not be covered under warranty. pictures to the factory in details when claim a warranty. b、Damaged caused by any anthropic factor. e、Damage resulting from improper transportation or storage. f、 Damage due to acts of God was not covered under warranty. repl ac eab le par ts. be based on the materials and the transportation cost. parts itself has defects in materials and workmanship problem. continually enhance the customers satisfaction. 4、All the replaced parts belong to the property of our company. Production manufacturer reserved the right of final explanation.